Three strand copper plated brass slide clasps in are easy to open and close with a strong, self-latching inside lock. Use with bracelet and necklace designs...with beading wire and for bead weaving or seed bead projects. 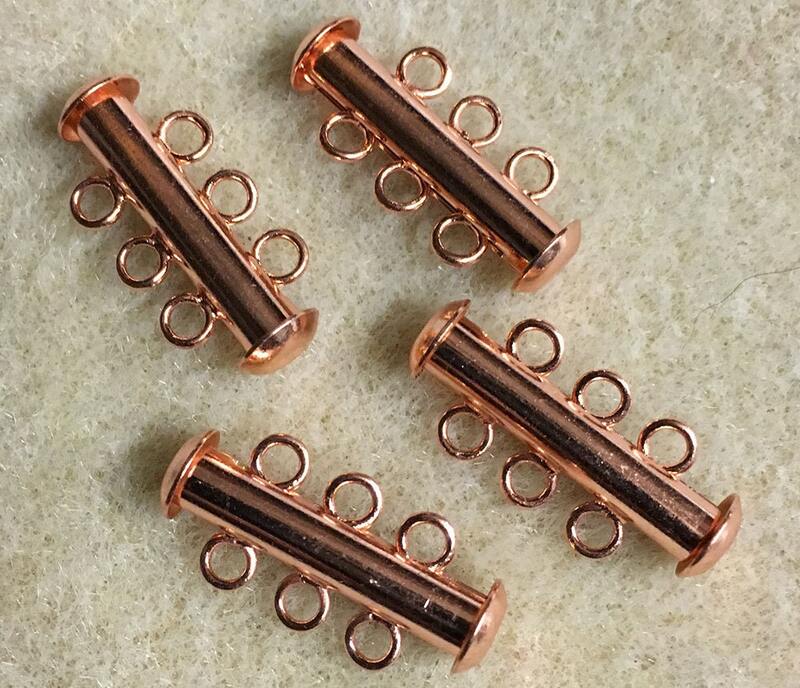 You will receive 4 copper plated clasps. Great seller, quality products, thanks! Exactly as described. Fast shipping! !